Randy Brown’s signature grips are made in the USA by ODI from a Super Soft compound. At 29mm they are smaller than most and have a MX inspired “Pillow Top” pattern. 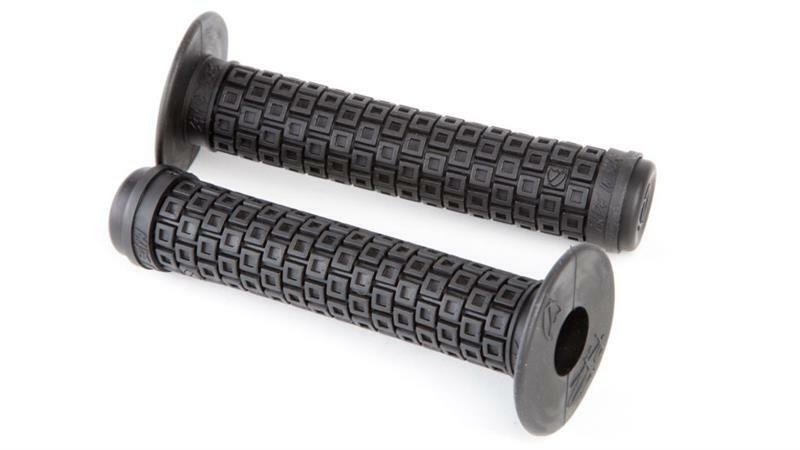 Bar Ends: Nylon Plug Style w/Sharpie Shield logo. Recycled rubber packing doubles as Sharpie Shield stencil.